Could drunk driving checkpoints soon be replaced with a simple laser? 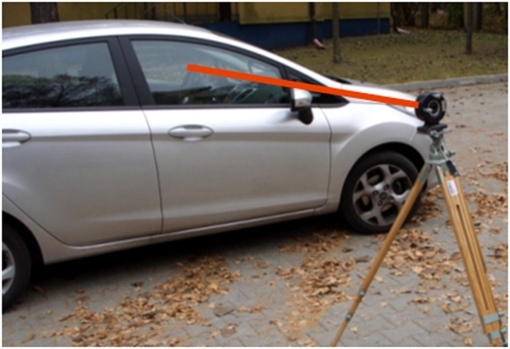 According to a new study published in the Journal of Applied Remote Sensing, scientists are testing a roadside laser for use in enforcement that can detect small concentrations of alcohol vapor in car cabins, even in moving vehicles. If the roadside laser detects alcohol vapor in a car corresponding to a blood alcohol concentration as low as 0.01%, a picture including the vehicle's license plate would be sent to police further down the road. The police office would then stop the car and give the driver a standard sobriety test to verify the laser’s results. You can read up more about this cool new car safety tech at Popular Science.